Here we are! This is yet another year of monthly tapping circles! In fact, January 2017 marks the 10-year anniversary of the Boston EFT Meetup group. I can’t believe it’s been ten years! I couldn’t be more proud and excited about it, not only because it is a major accomplishment, but also because of what it represents. 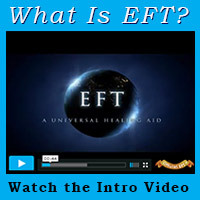 Tapping circles bring EFT to the community, to rich and poor alike, it multiplies healing and makes the biggest dent into healing the collective subconscious we all are immersed in. But a tapping circle would be meaningless without the people who show up and participate in it. Thank you to all of you (you know who you are)! Tapping Circles are held from 2 PM to 4 PM on the third Sunday of each month. Please email me if you need the address. The cost is $20.